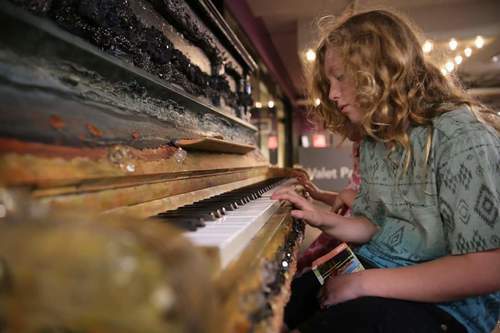 Piano Opening Hours: Daily 24/7. 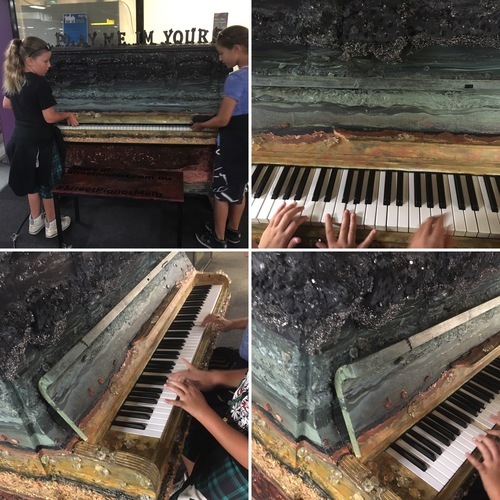 Piano donated by Gavin Gray and decorated by Mattea Davies. Hosted by Arts Centre Melbourne. 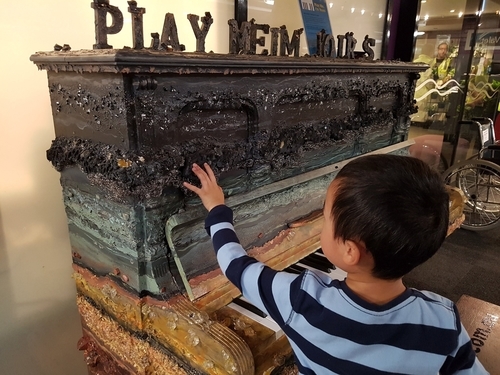 Interesting piano to play with. 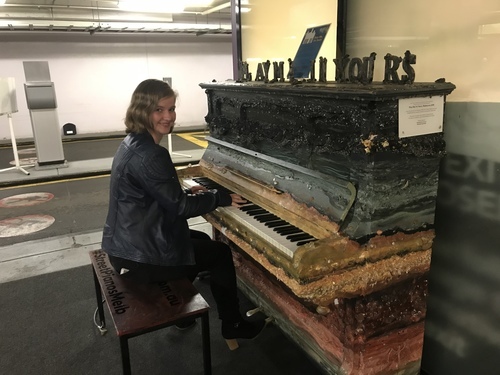 Thanks for making this and one other pianos permanently available in Melbourne. 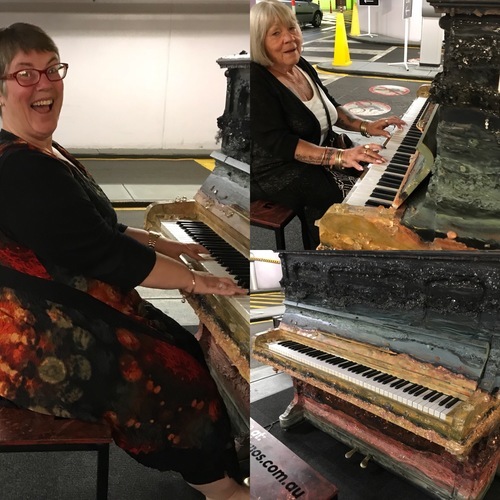 One of the many pianos my girls and I found on our epic piano hunt adventure. Having fun with mom a day out with my Mum. Poco Maestoso by an 11-year-old. 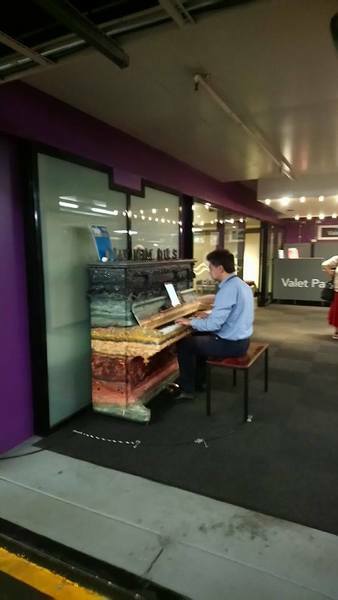 First try with “Play Me, I’m Yours”. Nervous but fun!!! 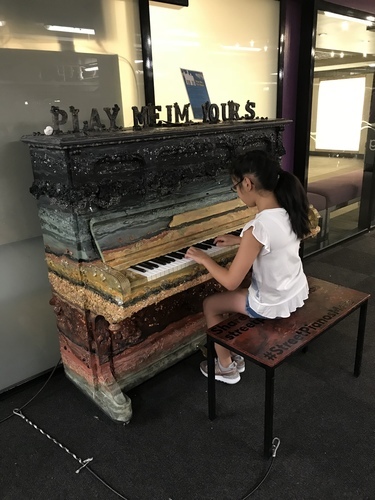 Play Me, I'm Yours is back in Melbourne!